Canadian Prime Minister Justin Trudeau will sit down with national Indigenous leaders in Ottawa Dec. 9 in advance of a long-awaited conference with provincial and territorial premiers aimed at creating a national framework to reduce greenhouse gas emissions, the prime minister’s office announced earlier this week. “Indigenous voices and perspectives are of the utmost importance as our country works together to give our kids and grandkids a better, healthier, more prosperous, and more inclusive tomorrow,” Trudeau said in the announcement. At that meeting, Indigenous leaders will get a chance to talk with Trudeau about his government’s proposed Canada-wide climate change framework prior to his conference with premiers, who are also invited to the Indigenous meeting. “The discussion will inform further partnerships with Indigenous peoples as part of ongoing collaboration to protect Canada’s land, air, and water for future generations and to build our clean growth economy,” the PMO said. The Dec. 9 meetings with premiers and Indigenous leaders is a follow up to meetings Trudeau hosted in Vancouver this past March 3. That March 3 gathering did not produce an agreement. Instead territorial, provincial and federal governments agreed to push contentious issues, such as carbon pricing, into working groups that are supposed to report back by Dec. 9. That followed loud objections from the three territorial premiers, who said they’re opposed to the imposition of a carbon tax within their jurisdictions. The northern premiers, including Nunavut, said that instead of carbon pricing that could damage their fragile, struggling economies, they want help adapting to climate change. 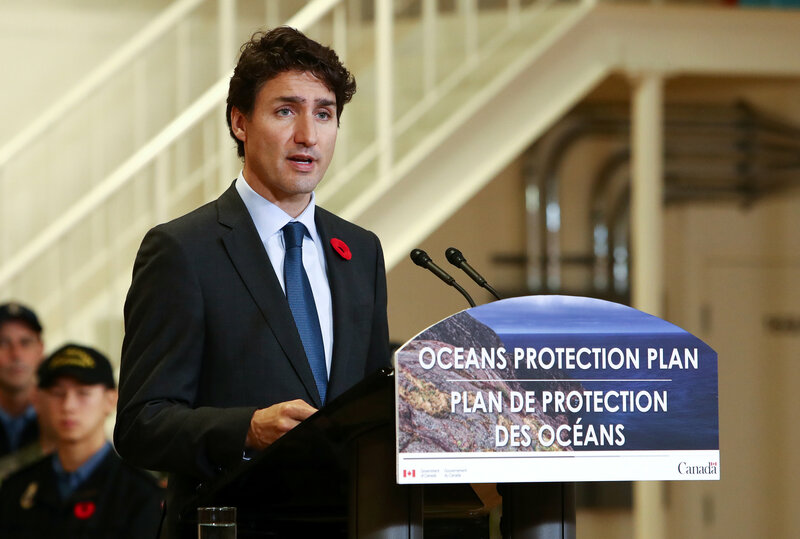 In the October 2015 federal election campaign, the Trudeau Liberals originally promised to create a “pan-Canadian framework on climate change” within 90 days of taking office. The meeting comes during a year when Arctic summer sea ice extent reached its second lowest level since satellite record-keeping began. The Dec. 9 meetings will occur less than two weeks after the Trudeau government’s approval of two pipeline projects in western Canada: Kinder Morgan Inc.‘s Transmountain line, which twins an existing pipeline that runs between Edmonton and Burnaby, B.C., and the Enbridge’s Line 3 replacement, which runs from Edmonton through Saskatchewan and Manitoba to Superior, Minnesota on Lake Superior. Trudeau, however, denied the controversial Northern Gateway pipeline, which was proposed along a route that runs from Bruderheim, Alta. to Kitimat, B.C.